Liposuction of the neck is an ideal procedure for people with some fatty tissue in their neck. It is not a good procedure for people who have other issues with their neck such as lax muscles or skin. These problems would be better addressed with a face or neck lift. A neck liposuction is ideal for a young patient with isolated fat in the neck or submental area. It will also enhance the jawline. ∗After the procedure there will be a bandage around your head and neck that Dr. Levine will remove the next day . A small band should then be worn for the next week, and at night for the next few weeks. ∗There will be 2-3 small sutures that will be removed around 6 days after surgery. The patient is a 28 year old woman who was unhappy with the fullness under chin and lack of contour and definition to her face. 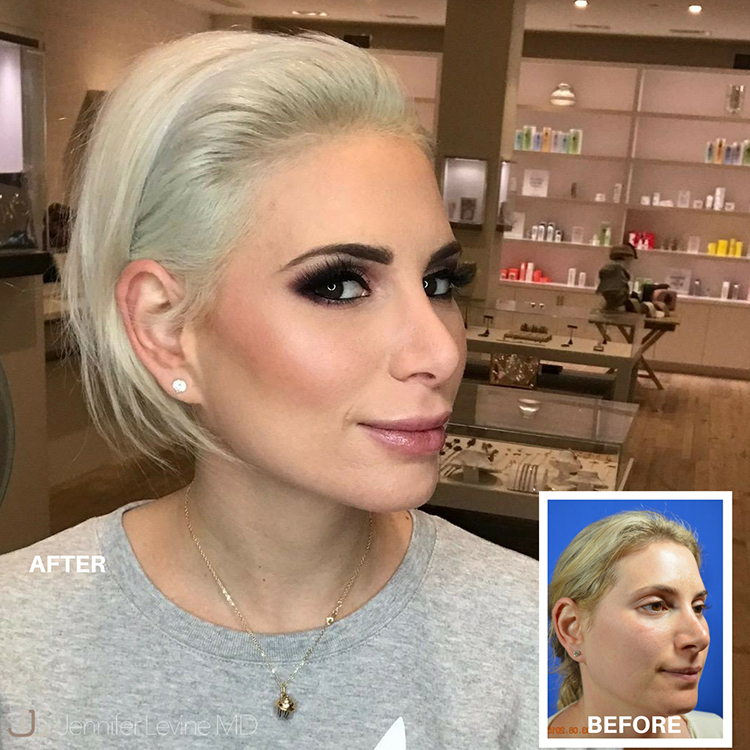 She underwent submental liposuction as well as lip filler, cheek filler, chin filler, under eye filler, botox and laser resurfacing of the skin. She just finished the NYC Marathon and is living her best life.